Whether you are a one-man band or the proud owner of a restaurant empire, you can leverage technology in your business. 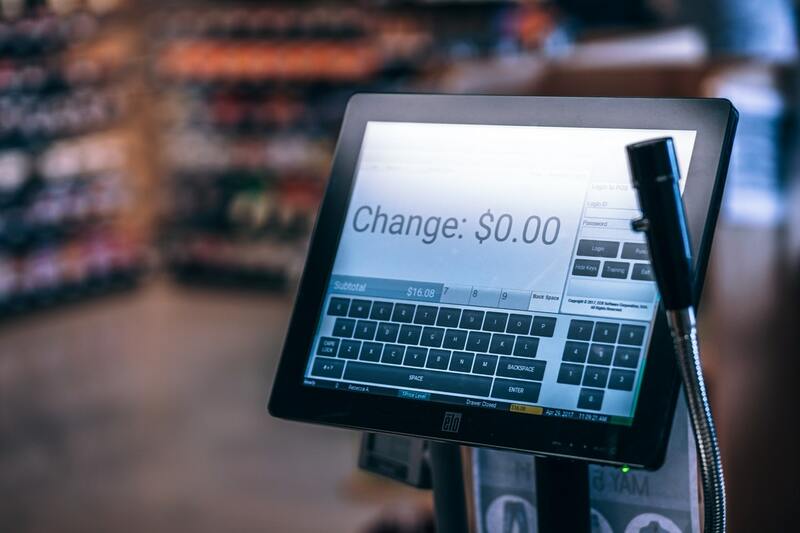 retail POS systems level the playing field between David and Goliath by making technology more accessible — it was previously only an option for larger companies. There are many options available to you, but you must first identify what you need from your POS system. A POS system isn’t just somewhere to keep your money. You need to be clear on what you want your POS system to do and work on finding hardware solutions that fit your needs. The hardware that you choose will impact on what your POS system is capable of, and how you use it. Here Nobly POS highlight the three types of POS systems. The system that you choose needs to be easy for employees to use. iPad POS systems are the go-to solution – Apple is so successful because their software is designed to be easily-graspable and reliable. One major benefit of an iPad-based retail POS system is that your staff will need virtually no training — they’re already used to the technology and iPad interface. This is a marked contrast to old proprietary systems, for which your staff are likely to need training even if they’ve used a similar system before. They’re also far easier to service. If your touchscreen till breaks down then you will have to pay for a repairman to come out and service it — or even replace the whole system. By contrast, if the iPad that you’re using as a POS stops working, you can simply download your POS app to another iPad and use that instead. You can find iPads for sale in pretty much any town centre, or get one delivered to your door with just a few clicks. If cash flow is an issue, then there are a plethora of second-hand models available for significantly less than what they cost new. iPads are easily portable or if security is a concern, you can opt for a secure iPad stand like that screws into your countertop making it as close to theft-proof as possible. Being able to take advantage of the latest payments technology is a key reason to upgrade from a cash register to a POS system. Payment processors tend to supply their own card terminals, normally on a lease so the specific terminal you get will depend on the payment processor you choose. But all card terminals do the same thing, more or less: they allow you to take card payments. After that, form tends to follow function — some are pretty much a PIN pad and a screen, powered by a rechargeable battery. Other card terminals have larger screens on which you can display your branding, and some others have inbuilt receipt printers for customer card receipts. Pretty much every modern card terminal comes with NFC capabilities, meaning they can accept payment using contactless cards and phone-based payment systems like Apple Pay and Google Pay. Another thing to keep in mind is whether your card terminal is integrated with your POS system. If it is, you can send payment details directly from your iPad to your card reader — if not, you’ll have to type in each transaction manually. Integrated payments are a real help if you’re in a fast-paced environment with lots of transactions to process. You may find that your business’s premises dictate the type of POS hardware you go for — and receipt printers, which connect to your iPad in a variety of ways, are no exception. Receipt printers tend to connect to your iPad using either Wi-Fi, LAN, Bluetooth, or USB, and each type of connection has its own advantages and drawbacks. Wi-Fi printers are flexible and you can connect several to a single iPad, but they’re harder to set up and rely on you having a stable Wi-Fi network. USB printers, by contrast, connect directly to your iPad using a Lightning cable, so you’ll never lose connectivity. The drawback of this is that you can only connect one printer to your iPad. You also need to consider the number of transactions that the hardware is likely to have to cope with. A Bluetooth printer is a great option for many businesses, but if you experience a high volume of transactions, your business could be better served by a LAN receipt printer for fast, long distance, reliable communication. A POS system can’t change your business, but it can certainly add to it. You need to be clear about what you want and be vocal about your needs to your supplier. Once your supplier understands how you need your POS system to perform, they’ll be able to direct you to the most relevant hardware and help you to find a system tailored to your requirements. The data that a POS system collects will give you increased visibility of your business, unlocking actionable insights. Find out when the busiest times are, what your most popular products are, and what percentage of customers are new or returning — data which can be used to make fact-driven decisions to boost your business’s success. More on starting up and choosing a till system. Mobile card reader – how it actually works?